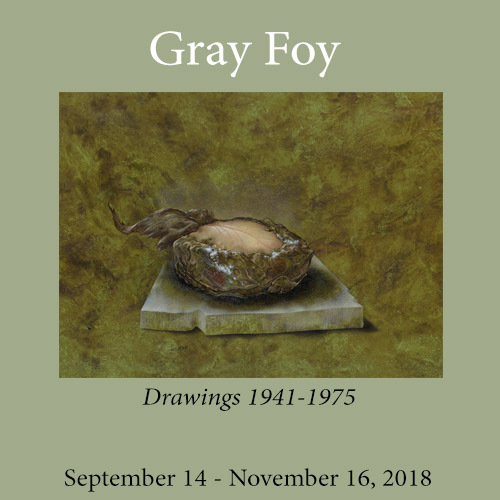 Up right now through November 16th at the Francis Naumann Gallery on West 57th Street is an exhibition of the work of artist Gray Foy, who worked in pencil, creating incredibly finely nuanced and shaded drawings. In fact, when you go into the gallery, they offer you a magnifying glass so you can inspect the drawings closely. 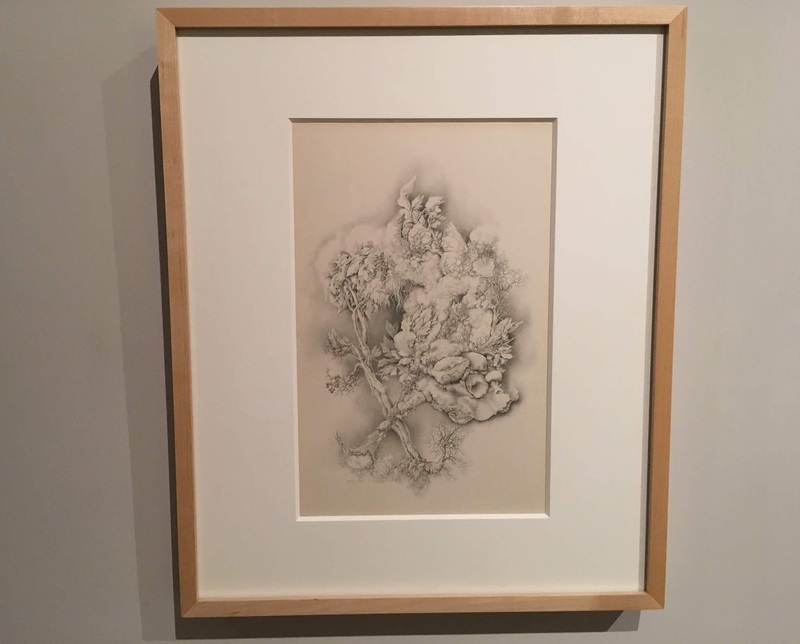 One of the drawings is in the permanent collection of the Museum of Modern Art, which lent it for this show. I knew Gray and the show was a revelation to me. TD and I had the pleasure of meeting Gray, who passed away in 2012. He was the lifelong partner of the great Condé Nast magazine editor Leo Lerman, and we were introduced to the couple by TD's friend Richard. Leo was a larger-than-life personality who was an editor-in-chief of Vanity Fair and ran the arts coverage at Vogue. Leo and Gray lived in one of the most amazing apartments I have ever been in, in The Osborne on West 57th Street. After Leo passed away, selections of his journals were published in a book called The Grand Surprise, which is a fun, jolly read that I highly recommend. When I knew Leo, he was walking with a cane and later was in a wheel chair. Coming behind and helping him always was his partner Gray. It turns out Gray himself was a fine artist. I had no idea. The gallery materials state that Gray was born in Dallas and worked as an artist in Los Angeles and New York. Using standard issue No. 2 pencils, he created surrealist scenes of figures and body parts inspired by Max Ernst, Salvador Dali and Giorgio de Chirico. 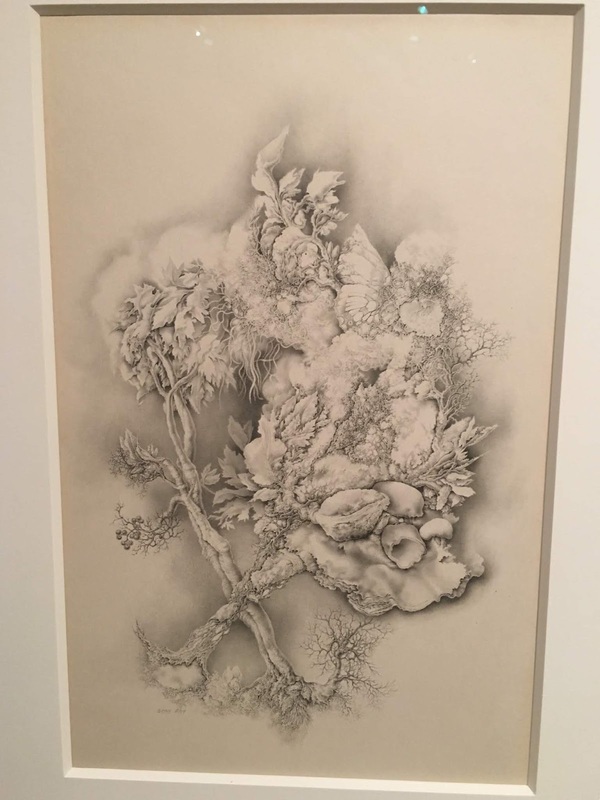 Later he moved on to plants and botanical subjects, and these are my favorite in the exhibition. 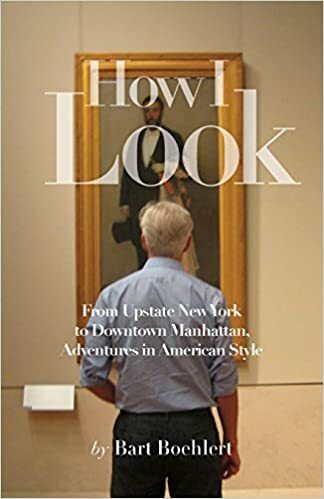 The gallery notes that, caught up in the active social life he shared with Leo, Gray stopped producing his art in the mid-70s. When I entered the gallery I was the only visitor so it was a very quiet and peaceful trip. The exquisite drawings pull the viewer in for closer examination. So delicate and serene. There were many other works to explore in the jewel-box of a gallery. It was a pleasure to visit the still and tranquil world of Gray Foy. 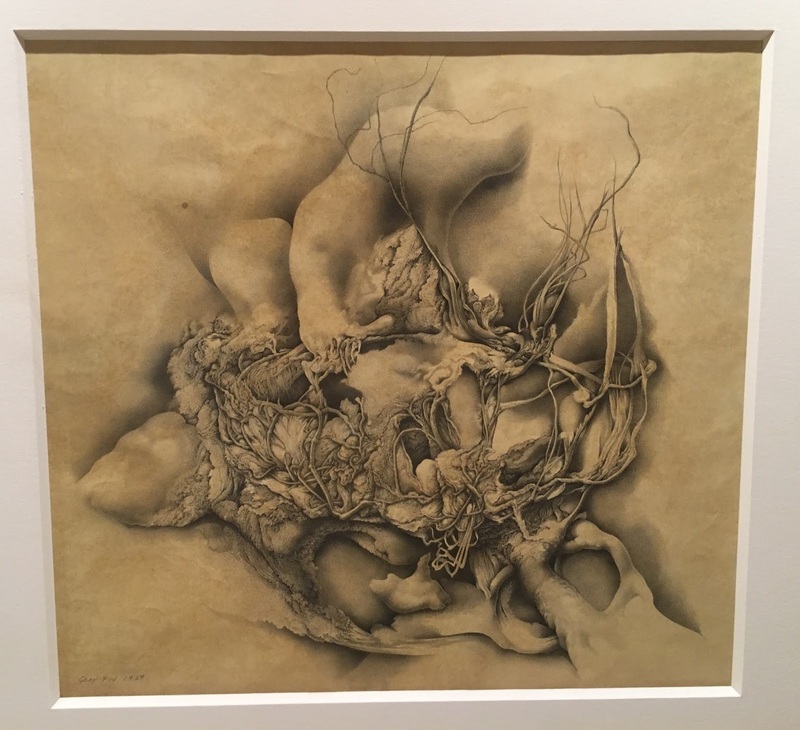 So fun to go to galleries with you - this is exquisite! Thank you Hastings for coming along! Your blog, always a treat for the eyes. We are so fortunate that you share your world. Thank you Gail, really appreciate loyal readers!